I am fairly certain this came from one of our adopted Aggies. I can remember for sure! This handmade treasure is really neat. 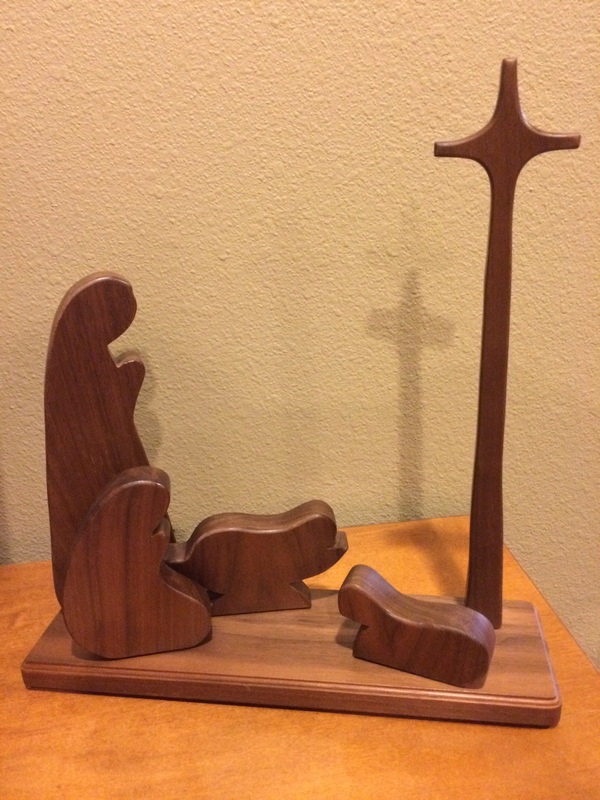 It comes with other pieces and at Easter we can rearrange and add elements to make it an Easter scene. It is so simple. And I love that the connection is made between Christmas and Easter with this one piece.